This will take you to a list of all reports you have made. If previews for items are missing, they may have been taken down. Click an image or title to view the original item. If an item is no longer online, you can click the Change button to flag it as offline. 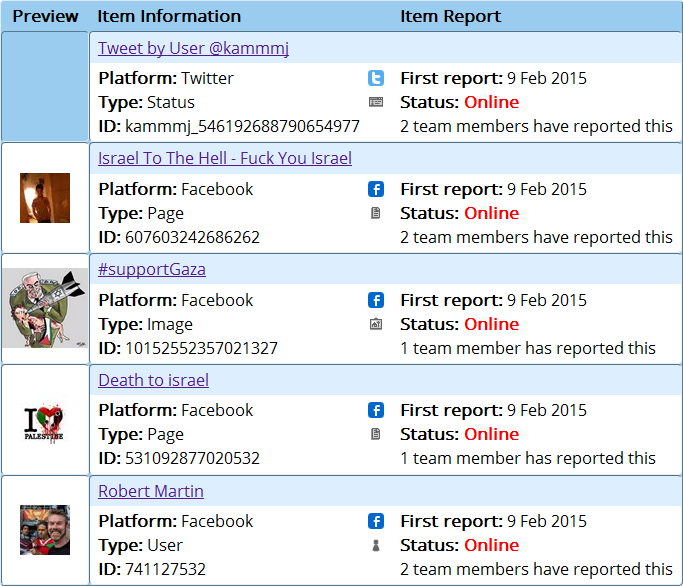 This will take you to a list of all open reports made by your team. You will be able to see how many team members have reported each item. If an item is online, you can add another report to our system. 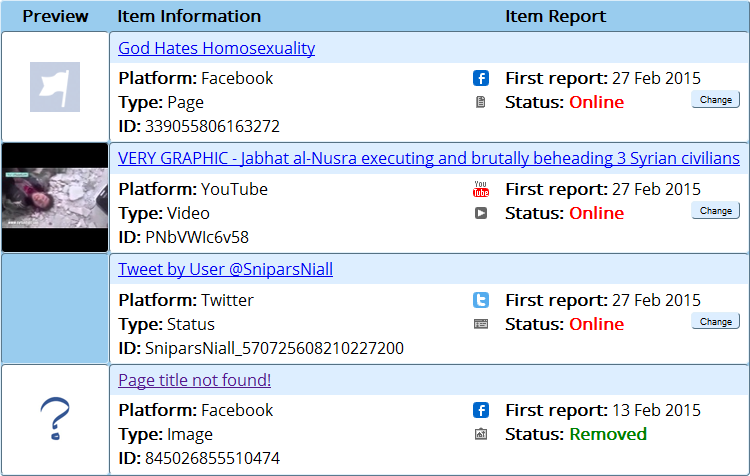 This will show you a reported item which you can confirm or reject as hate content. Having users review reports allows us to more reliably confirm if an item is hate content, as well as determine the reliability of users in the event of false positives being reported to our system.